Preparatory tutoring sessions for those taking the IGCSE (Edexcel / Cambridge) Mathematics exams. Over 90% of our past students got A* ! One-on-one math tutorials offered to returning boarding school students preparing the GCSE. Using a wide range of educational resources and past papers, our experienced tutors will tailor-made a program to suit your individual needs, strength and weakness. 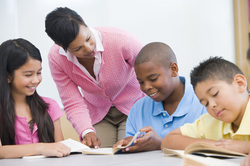 Our Math tutors are experienced educators having taught both in one-to-on and group settings. By identifying major mathematical skills that students need to develop, we focus our attention on areas that require improvements. Past paper problems, topic-specific revision notes and exercises are all accessible. An accumulative subject by nature, mathematics is an ability and skill that cannot be developed by reading alone. In order to develop math proficiency, students would require a combination of critical thinking; theoretical knowledge and flexibility in applications. To develop a sound foundation, one-on-one training would be the most direct and focused approach. Please contact us to schedule an assessment/meeting to further discuss. SAT scores are important to students wishing to apply for US universities. Designed by the The College Board, the SAT Math Test consists of multiple choice questions, free response questions and problem solving questions. The wordings and presentation of some questions might pose a challenge to some. Yet, tutors at Interactive Tutors have developed a range of techniques specify for the problem solving section that students can put into use.